Most of the cheaper hotels in Honolulu are situated miles away from the beach, but if you take advantage of the Honolulu Hotel Deals below, you´ll find plenty affordable offers in the beach area. If you are looking for Honolulu hotels on the beach or in the entertaining Waikiki area, you´ll find the top Honolulu hotel bargains here. The 4.5* Modern Honolulu at 1775 Ala Moana Boulevard wants you to enjoy $50-$150 Nightly Credit, you just need to join The Modern Honolulu´s guest loyalty program Friends With Benefits. Follow the instructions and redeem till Oct 1, 2016. At The Modern Hotel Honolulu you will have an absolutely fantastic time! The rooms are spacious, the sleek design and neutral colors giving it a soothing and relaxing atmosphere. The courteous and friendly staff makes you feel welcome. Cool vibe, perfectly modern, highly recommend if you want to get out of the worn out tourist hotels lining Waikiki. At 4* Waikiki Beach Marriott Resort & Spa, 2552 Kalakaua Avenue, you can Save up to 20% thru 3/4! Book your stay by 3/4/16 and enjoy up to 20% off vacations through 3/14/16, use coupon code: D3Q. At Marriott Waikiki Beach the beach is just across the street. Rooms are clean and nice, but not fancy, staff are all very friendly. Pool is quite small, but never crowded. More awesome Hotel Deals in Honolulu. 5* The Kahala Hotel & Resort, 5000 Kahala Avenue, Honolulu, Oahu. Take the chance to get 20% off room rate Was: $395 Now: $316 Hurry, the promotion is subject to blackout dates and limited availability. Redeem till Dec 1, 2016. At Kahala Resort Honolulu you can relax away from the big city atmosphere of Waikiki. Hotel is absolutely immaculate, staff is very friendly and the rooms are spotless clean and large. You will love watching the dolphins and other sea life in the lagoon. At 4* Aston Waikiki Beach Tower, 2470 Kalakaua Avenue, you can Take 15% Off Your Stay. Use code: TRIPDEALS, valid for redemption: Nov 1, 2016. At Waikiki Beach Tower the accomodations are individual owned 2 bdrm condos with balconies. Staff all very friendly and professional. Awesome location close to the beach, restaurants and shops. At 3.5* Lotus Honolulu at Diamond Head 2885 Kalakaua Avenue, deal is: Book Now and Save 15%! Use code: AquaTA and redeem till Oct 31, 2016. The Lotus At Diamond Head Hotel is convenient and comfortable in a quiet location at the end of Waikiki. Within walking distance to main strip and buses. Nice amenities: yoga class, beach towels and chairs, rental bikes, wine in the afternoon, free WiFi. 3* Vive Hotel Waikiki*** at Kuhio Avenue, Waikiki Hotel Deals: 20% Off Regular Rates. Use coupon code TRIPADV, offer ends and must be redeemed till 01. August 2016. Top location, new rooms, walking distance to beach, shopping and restaurants. From budget to luxury, find the best hotel deals in Honolulu. 3.5* Luana Waikiki Hotel & Suites, 2045 Kalakaua Avenue, offers: Book Now and Save 15%. You just need to use code: AquaTA and redeem till Oct 31, 2016. 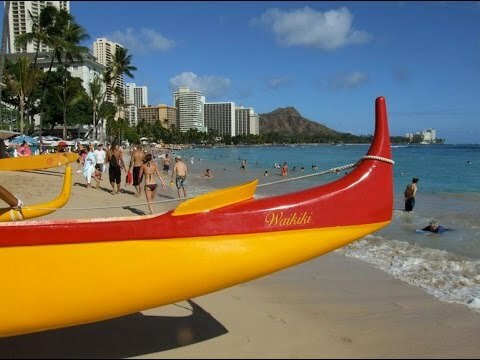 Outrigger Hotel Luana Waikiki is about a 10 minute walk from the beach. The rooms are comfy and quiet, though a bit dated, but the place is spotless and the hotel staff is super-helpful and kind. Plus it´s nice to have a kitchenette. At 3* Hotel Renew, 129 Paoakalani Avenue, you can Take 15% Off Your Stay by using code: TRIPDEALS, redeem till Nov 1, 2016. Renew Hotel Honolulu is a great little boutique hotel. Location is quite convenient as its just off the main Waikiki strip. Rooms are spacious and modern, staff are welcoming. You will enjoy the happy hour. 3* Park Shore Waikiki at Kalakaua Ave Book Now and Save 20%! use rebate code: AquaTA for bookings and redemption until Oct. 31, 2016. Park Shore Hotel Hawaii is lovely, with great views of the beach. Its away from the busy Main Street but close enough to walk to where ever we wanted to go and the beach is just across the street. At 5* The Royal Hawaiian, a Luxury Collection Resort, 2259 Kalakaua Avenue, you get 4th Night Free/Breakfast. Here you enjoy luxury for less, get a 4th free night, and free breakfast for two and a room upgrade, based on availability. Book now and redeem till Dec 31, 2016. The Royal Hawaiian Honolulu is a grand old gem on the beach and an icon of Waikiki for almost a century. Here you´ll have historic elegance, great service, and perfect location all in one. Don´t forget to mention the special code (if mentioned) when using any of these Honolulu hotel coupons. Here is a Honolulu Waikiki map for you. Looking for last minute hotel deals Honolulu? At 4* Hilton Waikiki Beach, 2500 Kuhio Avenue, you get 7th Night Free. You need to book a 7 night stay and get the 7th night free, plus 2 welcome cocktails (valid till Mar 31, 2016). The Hilton Hotel Honolulu great location, exceptional service and nice accommodations. Staff went out of their way to be helpful. It´s only a 5 minute walk to the beach. A nice bonus: hotel offers a complimentary hospitality suite for 1 hour after check out. Looking for more budget hotel deals Honolulu? At 3.5* Holiday Inn Resort Waikiki Beachcomber, 2300 Kalakaua Avenue, you can Save 10-30% when you book in advance with the Advance Purchase Rate. Waikiki Beachcomber offers best location for price on the strip. The beach is just across the road, shopping all around, trolley just across the road. Rooms are spacious and clean, staff is excellent. At 2.5* Aqua Palms Waikiki, 1850 Ala Moana Blvd, it´s: Book Now and Save 18%! Use coupon code: AquaTA and redeem till Oct 31, 2016. The Aqua Palms Honolulu is a friendly budget hotel, the price for this area is a real steal! At 2* Aston Waikiki Beachside Hotel, 2452 Kalakaua Avenue, the deal is: Take 15% Off Your Stay. Use code: TRIPDEALS and redeem till Nov 1, 2016. Rooms are small but comfortable. Location is right in the middle of Waikiki Beach. You can walk to shops, the beach, the zoo and it´s easy to get public transport to all of Honolulu attractions. Small, funky fun hotel in the best location, ideal for budget travelers. Did you know Miami, Florida has 25.9% less rainy days and 8.9% less sunny days than Honolulu. Check for the best hotel deals Miami Beach. Stay tuned for more outstanding Honolulu hotel deals coming soon. Disclosure: This blog is a participant in the Amazon Services LLC Associates Program, an affiliate advertising program designed to provide a means for sites to earn advertising fees by advertising and linking to Amazon.com. We earn commissions from some of the products we review or mention on this site.